By public bus it takes between 11 and 13 hours to travel from Khon Kaen depending upon which bus service you use. You can also fly from Khon Kaen to Chiang Mai which takes slightly over an hour but is on average three times more expensive than travelling by bus. There are 9 direct bus services a day from Khon Kaen to Chiang Mai which you can book online. Passengers on Phet Prasert, Esan Tour, and Phu Luang Tour bus services travel on an ‘Express Service’ which has an on-board toilet and a snack is included in the price. 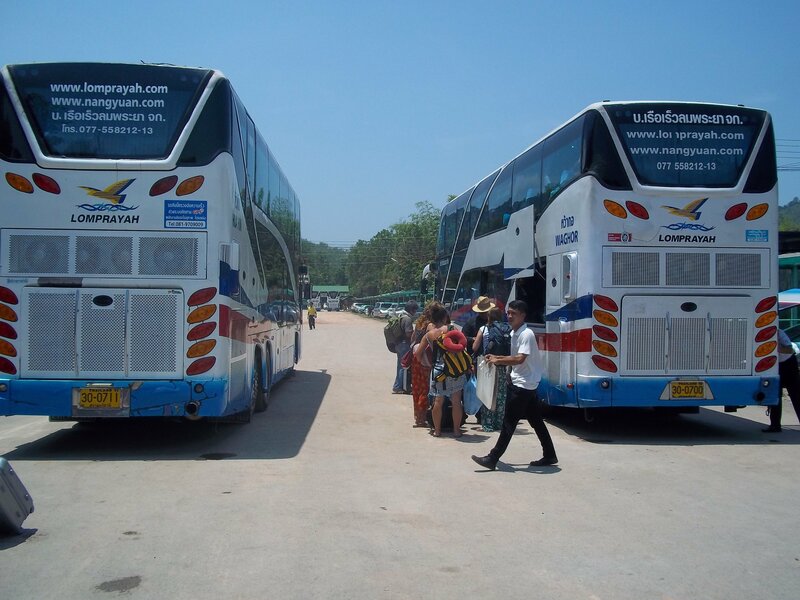 Passengers on Sombat Tour bus services travel on an ‘VIP 24 Service’ which has fewer seats and therefore more leg room, an on-board toilet, a snack, and a full meal at a roadside restaurant included in the ticket price. Flights from Khon Kaen to Chiang Mai are also available to book through the Search Box. 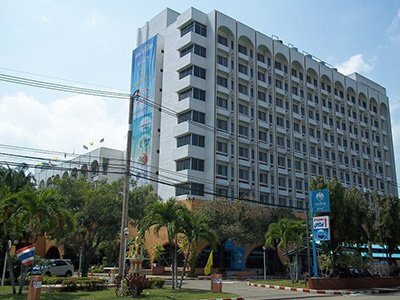 Bus services to Chiang Mai depart from Khon Kaen Bus Terminal 3. Bus services from Khon Kaen terminate at Chiang Mai Arcade Bus station. Wat Lok Moli, located near to the north section of the moat that surrounds Chiang Mai’s old city, dates back to the 14th Century. 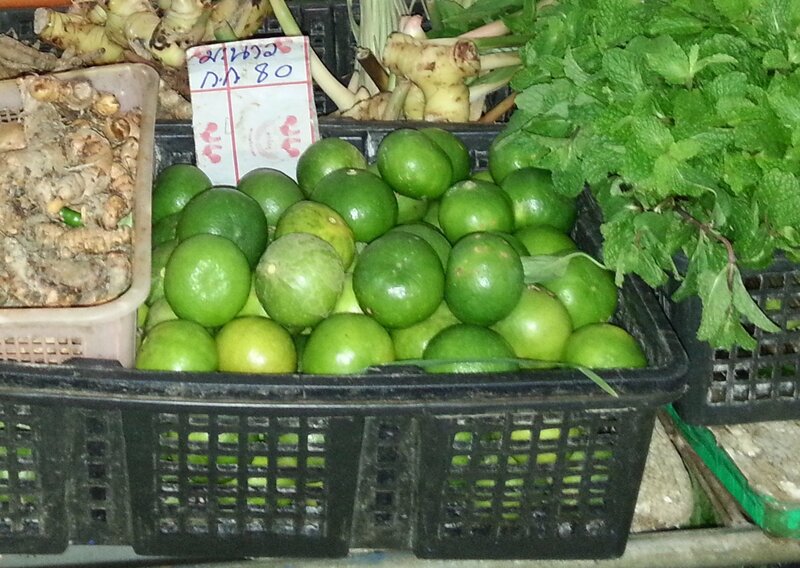 As well as being very old, this temple is worth visiting because of its large chedi. A chedi is a type of tower which has a semi-hemispherical base and pointed structure on top. In Thai Buddhist temples chedi typically contain religious relics although records of the exact nature of the religious relics in the chedi at Wat Lok Moli have been lost, as have records of the exact date that the temple was founded. The original temple, presumably built out of wood, has perished. The oldest part of the temple, as it stands today, is the massive chedi which was completed in 1527. The main temple building, which stands in front is the chedi, was built in 2003 in the same location as the previous incarnations of this temple build. 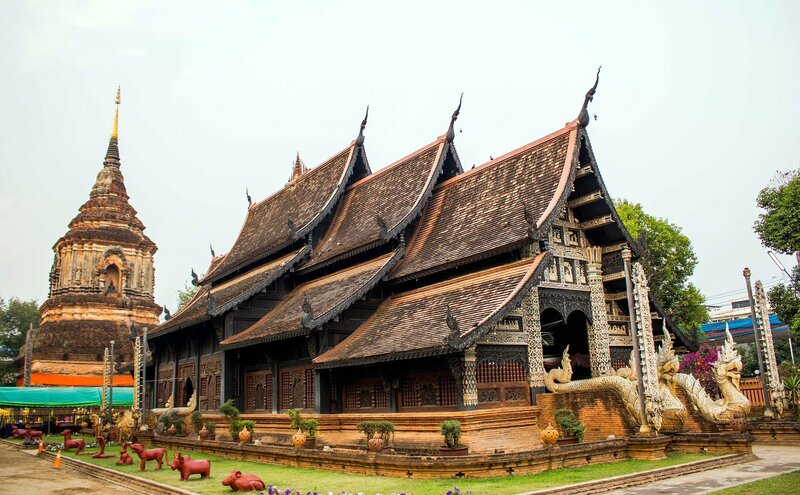 The 2003 structure has been constructed largely out of wood using traditional methods and in a design common to temples constructed during the Lanna, when Chiang Mai was made of a separate kingdom in the North of Thailand. Wat Lok Moli is open daily from 06:00 to 17:00, admission is free, and its well worth visiting during your stay in Chiang Mai.